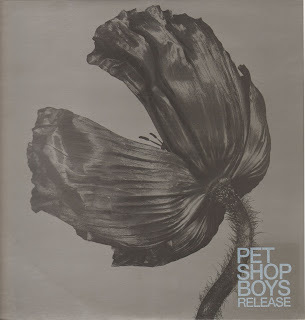 Returning with their 8th studio album, the Pet Shop Boys Neil Tennant and Chris Lowe have added the familiar face and guitar of Johnny Marr to 7 of the 10 tracks on the album. That by itself should change the direction of the album but instead of going for a harder and more aggressive album, the Pet Shop Boys have decided to show a more refined and mature side of themselves that we haven't seen since Behavior. The album opens with the first single "Home And Dry" which is by-and-far the best song they've recorded in ages. When I heard the background music to the track on their Web site during a visit, I overlooked it as their version of elevator music. Amazingly simplified and lush textures... beautiful. You hear the term Beatle-esque used a lot but "I Get Along" is a subdued Oasis/Beatle-esque arrangement that I can mentally hear Noel Gallagher singing it while on a baby grand. Seems like the effects of Cher's "Believe" vocal production was not lost on the Pet Shop Boys' "London." The song could have been just a beautiful acoustic ballad but the vocal effect and some creative mixing make it even better. Without Marr's guitar-work songs like "Birthday Boy," "Love Is A Catastrophe" and "You Choose," the songs either would not have happened or would have become dance tracks. The love anthem "Here" for some reason reminds me of an unmessy car accident between a PSB chorus and an Erasure verse where both cars wind up wearing each others paint and look good in it. Aside from "The Night I Fell In Love," I was amazingly surprised and delighted with Release. Tennant is possibly at his best lyrically and comes across as a more confident vocalist. This is a triumphant moment musically for a band that just keeps getting better.